I am constantly doing things to keep the plasma dust under control. In this article I will cover a couple simple additions that will not only help keep the dust out, but will also add more rigidity to your stand. Here I will show you how to add four steel corners to the downdraft. The brackets will help keep dust from being blown out through the corners. 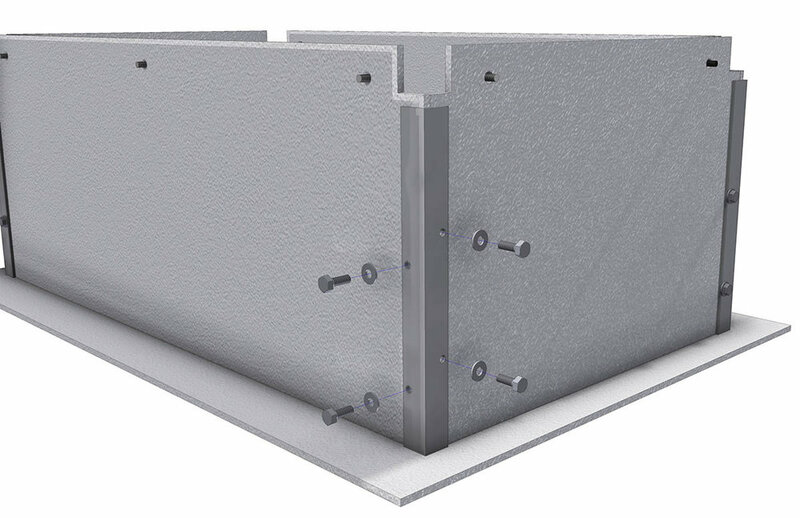 The corner brackets are made from four pieces of 1” x 1” x 1/8” steel angle that are 10-3/4” long. Four 1/4” holes are added to each piece at the locations shown here. Place a corner bracket in place against the downdraft corner and trace the holes with a pencil. Use a 5/16” masonry drill bit to drill the marked holes. Add four 1/4-20 x 3/4” hex bolts and narrow 1/4” washers as shown here. Note that you can not use normal sized 1/4” washers. Secure the bolts with another washer, lock washer and 1/4-20 hex nut as shown here. The front and rear brackets serve two purposes. They keep the downdraft shelf from sagging. They keep dust from blowing through the crack between the shelf and the end panels. 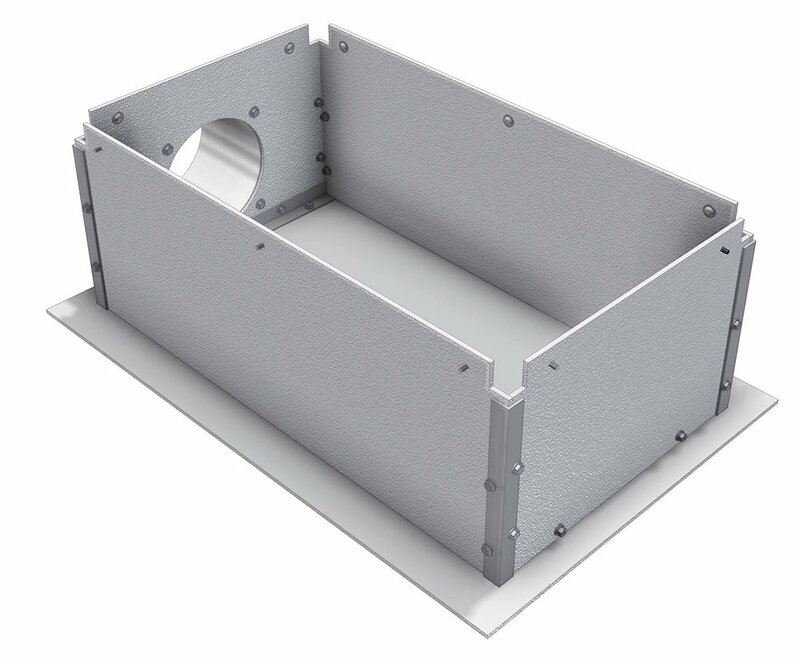 The front and rear brackets are made from 1” x 1” x 1/8” steel angle 17-3/4” long. Drill the holes shown in the drawing. Place the bracket on the inside of the downdraft as shown here. Mark and drill the holes with a 5/16” masonry bit as you did with the corner brackets. You will need to do this on both the front and rear of the down draft. 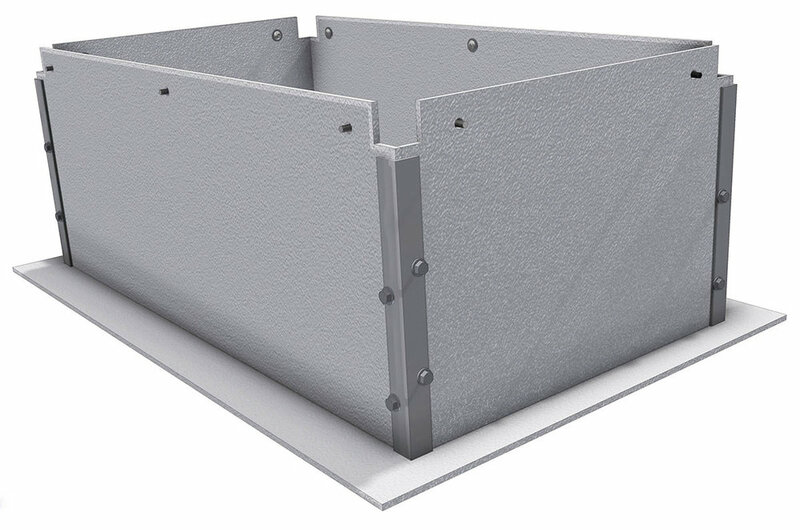 Secure each bracket with 5, 1/4-20 x 3/4” hex bolts just like you did with the corner brackets. If you have installed a front monitor mounting shelf, you may need to remove it in order to install the front corner brackets. You can reinstall your shelf once the brackets have been installed.